Asset manager Janus Henderson has made a series of internal promotions to their Australian fixed interest team. Janus Henderson announced in a statement that it had promoted its portfolio manager and its dealer and fixed interest analyst, with a search for a new dealer and fixed interest analyst underway. 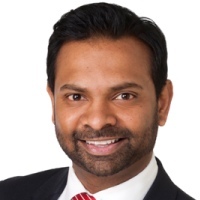 Portfolio manager Jay Sivapalan is now the co-head of the Australian fixed interest team, while dealer and fixed analyst Taf Mugwagwa takes up the newly created role of assistant portfolio manager. In his new role, Mr Sivapalan will focus on the investment strategy as well as management of Janus Henderson’s funds and mandates. Commenting on the appointment, Janus Henderson head of Australian fixed interest Glenn Feben said he had worked alongside Mr Sivapalan for 17 years. Meanwhile, Mr Mugwagwa’s new role will see his responsibilities expand to co-manage Janus Henderson’s cash fund alongside Mr Sivapalan.